I looooooove Shrikhand, so does Zini. But i couldn’t find Amul Shrikhand in Noida, and i remembered that my maasi had recently made Shrikhand at home, so i called up my maasi to ask the recipe. 4) Beat it using a beater. 4) Add Ilaichi, Kesar, Kishmish, kaaju powder and badam powder. Mix Well. 5) Store in refrigerator at least for half an hour. 6) Before serving, mix well again. 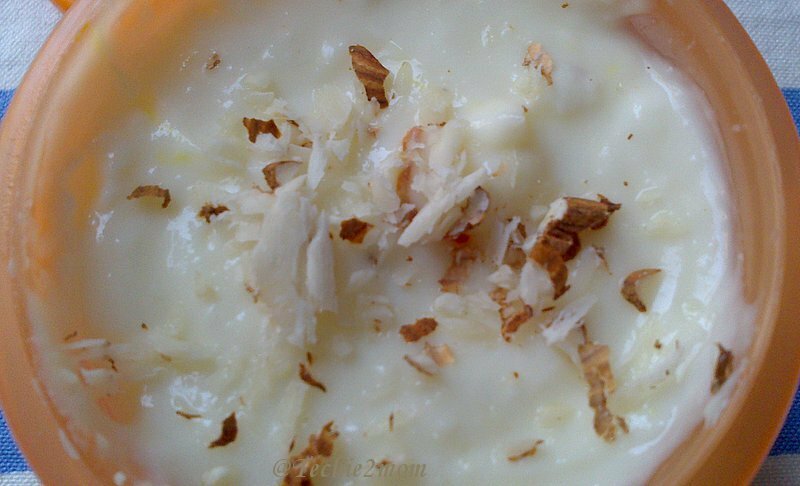 You can garnish it with Kesar strands/ small pieces of kaaju/badam/ kishmish. Serve immediately after taking out of fridge.